A Cooking Matters instructor teaching a participant. Hunger can impact the ability to get through even the most routine days. And for too many Mainers, hunger is a fact of life. According to a 2017 study by the U.S. Department of Agriculture, Maine has the highest rate of food insecurity in New England, with around 16 percent of Mainers, including one in five children, lacking access to the amount of nutritious food required for a healthy lifestyle. But organizations in Maine are working to fight hunger in many ways, including through education. Maine has developed a close-knit network of programs that provide nutrition education to low-income Mainers who are at risk of food insecurity. There are two primary federal programs funded through the U.S. Department of Agriculture that generally oversee nutrition education efforts in the state: the Expanded Food and Nutrition Education Program, or EFNEP, which is offered through the University of Maine Cooperative Extension and focused on nutrition education for low-income families with children; and the Supplemental Nutrition Assistance Program Education, or SNAP-Ed, which provides nutrition education for low-income adults that qualify for federal assistance in general. The programs have been around for decades — EFNEP just celebrated its 50th anniversary, and SNAP-Ed started in the late 1980s — but their offerings adjust to meet the changing needs. While the programs were always designed to educate about healthy diets and food safety, basic training in kitchen skills is increasingly becoming part of that equation. “There has been an increase in more convenience food, and an almost a loss of cooking skills because it is not taught or practiced in schools as it used to be,” Yerxa said. 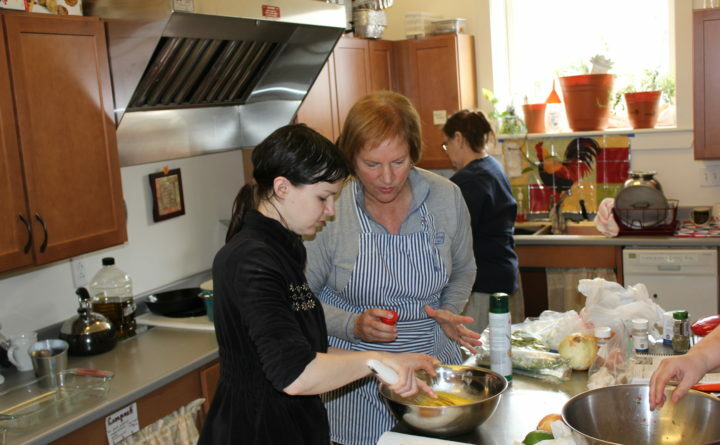 A Cooking Matters class in Waterboro. To address the need for basic cooking education, EFNEP and Maine SNAP-Ed partnered with the Good Shepherd Food Bank to offer classes through Cooking Matters starting in 2010. Over the course of six weekly, two-hour sessions, the program teaches basic kitchen skills and recipes using low-cost ingredients that could be purchased cheaply or easily found at food pantries. “Cooking Matters is about behavior change,” said Courtney Kennedy, nutrition and education manager at Good Shepherd Food Bank. The program also offers classes geared toward children and teenagers. Kennedy explained that children are taught how to add colorful fruits and vegetables into their dietary palate and “become a spy” for nutrition information on packages and labels. Teen classes are modeled similarly to the adults’ but with the added challenge of, as Kennedy puts it, “making over a meal,” in which participants learn to make their favorite food in a healthier way. The goal is the “push teens to become influencers in their parents purchasing habits,” Kennedy said. Cooking Matters prides itself on its effectiveness. Since 2010 when the program was brought to Maine, there have been 1,285 Cooking Matters courses reaching 12,220 participants, and the classes have a 94 percent graduation rate (to graduate, participants must attend at least four out of six of the classes). While there are no long-term impact studies, participants are surveyed before and after the class to determine the impact on their attitude toward food, including increased consumption of fruits, vegetables, health proteins and water along with decreased consumption of fast food, soda, sports drinks and energy drinks. “We track data,” Kennedy said. “It’s very important to us.” According to Kennedy, 98 percent of adult Cooking Matters participants surveyed planned to share what they learned with a friend or family member and most reported increased confidence in buying and cooking healthy foods for the family on a budget. Cooking Matters classes are offered through schools, jails, hospitals and other community organizations, including food pantries themselves. Food pantries around the state have opened their hearts and cupboards to provide food to those going hungry, but food insecurity cannot be addressed by simply providing more food. Proper nutrition is as much about education — knowing the food in your price range that is healthy for you, and how to prepare it — as it is about access. Even when food pantries have healthier food available, their clients can be intimidated by the offerings. 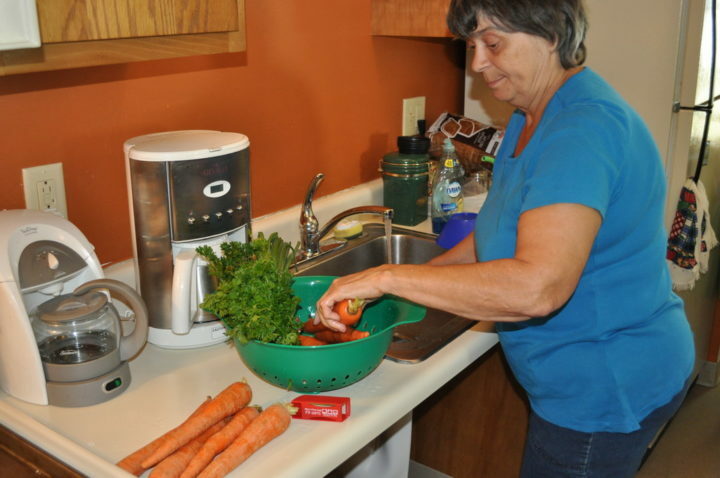 The Brewer Food Pantry began offering adult Cooking Matters classes for adults in 2015. Rich Romero, co-manager at the Brewer Food Cupboard, said getting started was as simple as submitted a request to Good Shepherd Food Bank with the dates and the student roster. The program provided student handbooks, instructor handbooks, a $500 Hannaford’s gift card to purchase food for the class. “I’ve never had anybody who went through the class who didn’t thoroughly enjoy it and feel like they learned something,” Romero said. “People are really surprised about how you can take these different healthy foods and make something so tasty.” He said some of the most popular recipes in his classes are usually the stuffed cucumber boats and Asian noodles with peanut butter sauce. A Maine SNAP-Ed nutrition educator at Hannaford's. The Cooking Matters welcome packet includes one other key component: a $10 Hannaford’s gift card for each student for the classes’ grocery store tour. 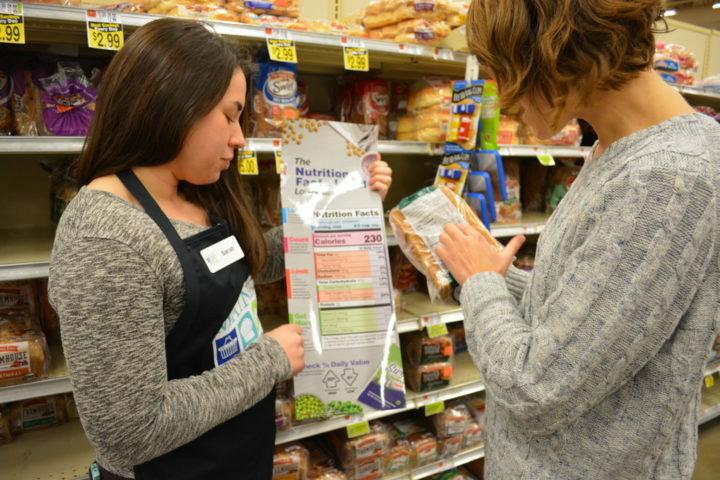 On the fifth week of the program, participants go to Hannaford’s with their instructors to learn how to read labels and shop for healthy meals on a budget. Correction: Due to incorrect information provided to the BDN, an earlier version of this report misstated the number of Cooking Matters classes and participants listed.